"Finally I hear a neigh, they guide the stallions... they lead the bay Kuhailan Haifi. My legs buckled under me, it is just the horse I am looking for. Not large, dry, on splendid legs without any trace of cow hocks. A long neck, a noble head, although not very small, with distended, thin and moveable nostrils; a splendid high carried tail. I feel, the first time in my life, that during the purchase of a horse I am fainting..." (quoted from E. Skorkowski, "Arab breeding in Poland" a facsimile from an article series in "My Pony"). 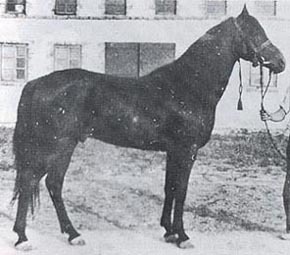 Zientarski's romantic description was perhaps not unjustified, considering the impact this stallion would have on arabian horse breeding around the world. Kuhailan Haifi was born in 1923, the sire was a Kuhailan Kharas and the dam a Kuhaila Haifi. 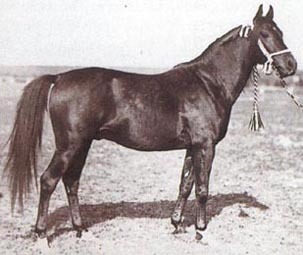 Kuhailan Haifi died in 1935 after siring 14 foals. The line was carried on mainly by his son Ofir (whose dam Dziwa had been sent to Gumniska from Janow to be covered) but there were two other branches as well. 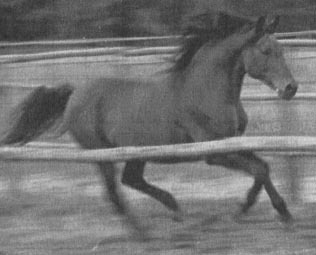 That of El Haifi 1935 out of Pomponia II (the last foal by Kuhailan Haifi) still exist. Even though El Haifi did not leave any sons in Poland there were two sons used in breeding, Ben Haifi, exported to Babolna and *Ar Haifi. *Ar Haifi was discovered at a circus by Erik Erlandsson and imported to Sweden and then to America where he has left at least one son, Le Haifi. The third branch was through Tajar (renamed Kuhailan Haifi I) who was exported to Babolna. He was described by Ekkehard Frelinghaus: "... a charming stallion of middle size of distinct arabian type with a very good topline, broad and deep in his build, with a correct limb conformation and movements full of impetus". He did not survive WWII. The daughters of note by Kuhailan Haifi were Donia, Oaza and Oda. 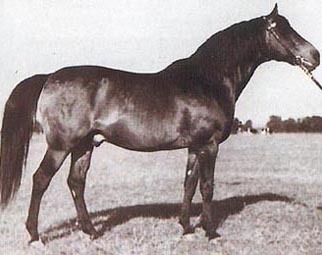 Breniow stud bred several of their mares to Kuhailan Haifi (among them Sahiba, dam of Amurath Sahib) but them and their offspring was lost in World War II. Oaza was taken to Tersk and both Donia and Oda were lost in the confusion of the war. The real star, however, was Ofir. Born in 1933 at Janow Podlaski, he would be the source of so many show and performance champions. 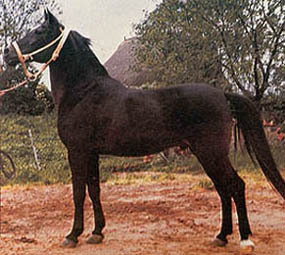 His mother Dziwa was a broodmare supreme from the family of Sahara OA. 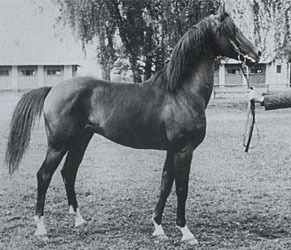 In 1938 his first foals was born. 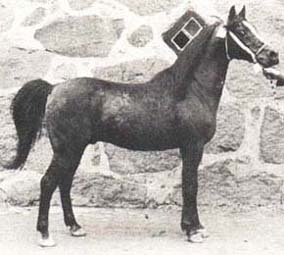 This first foal crop proved that the addition of desert blood had been justified because in this group the sires Wielki Szlem, Witraz, Wind (Wyrwidab in Poland) and *Witez II were born, along with the mares Wilga, *Wierna and Wlodarka. Then World War II began and breeding in Poland was shattered. Ofir was taken by the Russians along with many of his offspring. 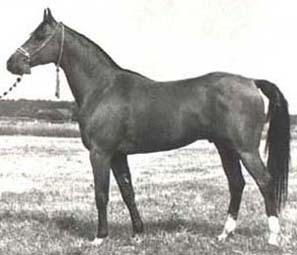 What is a surprise is that even though he was used at Tersk, very few of his Tersk-bred offspring was used for breeding. 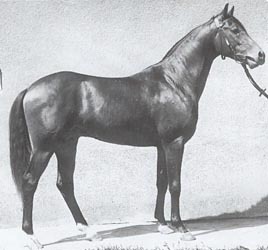 His daughters that had the greatest impact on russian breeding were Wlodarka and Mammona, both polish-bred. Mammona was true to her name since it means "treasure" in polish. Other of his get (among them *Wierna and *Witez II) were taken to America by General Patton. After the war the Poles proposed that these horses should be returned but that was not to be. The daughters of Ofir that were left for polish breeding were Zalotna, Wilga and Ofirka. Zalotna did not have any impact in Poland but her son *Pilot by Trypolis was taken to America (in the Patton group). Wilga and Ofirka have both left large and prosperous families. The Ofir son Wind was left in Germany were many of the polish horses had been evacuated along with their caretakers. 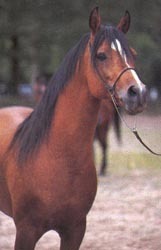 He was first used in warmblood breeding but was then moved to Marbach were he sired three daughters used for breeding. He did not leave any son. *Witez II left a son in Europe, Wisznu, born in transit in 1943. Wisznu was used in Germany at Achental, Lütetsburg and Ströhen. He left several sons and daughters to carry on. Witraz and Wielki Szlem survived the war, almost through a miracle. The Janow stallions arrived in Dresden just before the great bombing that destroyed the city, the night between the 13th and 14th of February in 1945. The Janow groom Jan Ziniewicz was caring for Wielki Szlem and Witraz. During the night, Witraz panicked when his tail caught fire. Jan Ziniewicz did not let go and when they were found in the morning his hands were chafed raw but the stallions were safe. When the rest of the Janow horses arrived in the morning, Andrzej Krysztalowicz (the director to be) was relived to see that both his stars had survived. Of the 80 stallions that arrived in Dresden only 38 were recovered. Witraz was the chief progenitor of the Kuhailan Haifi OA line in Europe. 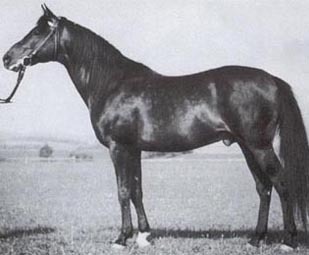 Wielki Szlem was the more popular sire since polish breeders were reluctant to use Witraz because of his difficult temper which he sometimes passed on. Witraz sired four stallions used in Poland but it is mainly through two of his exported sons that this branch is so large: *Bask and Nureddin. The stallions used in Poland were Como, Banio, Muharyt and Celebes. Of these, Celebes had the greatest impact. Celebes was initially sold to a circus but after 14 years he was repurchased to continue the line. Other Witraz sons were also sold to the circus and were discovered by Erik Erlandsson. Those stallions were used in Sweden and some of them were exported to USA. Some of the Witraz sons used outside Poland has been reintroduced to polish breeding. The "supersire" *Bask in USA is the grandsire of Monogramm used in Poland and the Monogramm grandson Metropolis NA born in USA was used at Janow in 2003. There are other horses as well in Europe that carries *Bask blood, for example Gotcha, a Negatraz son, who was on lease in Sweden.The branch of Nureddin was brought back to Poland by Alcazar by *Aladdinn, and thus a grandson of Nureddin. Banio (out of Balalajka) left no son but two mares, Falbanka imp Sweden and Sekwana, the dam of *Set and *Sekstans. Banio was a full brother to *Bask, Bandola and Arfa. Como (out of Bona) sired *Fortel and Forsycja, both out of Forta. *Fortel was sold to a circus and discovered by Erik Erlandsson in Copenhagen. He bought the stallion and exported him to the Williams were he produced racehorses. Muharyt (out of Munira) was used by private breeders mainly. He left six mares. His sister Bint Munira (by Wielki Szlem) was imported to Sweden. Celebes was the chief progenitor of the Witraz branch in Europe. 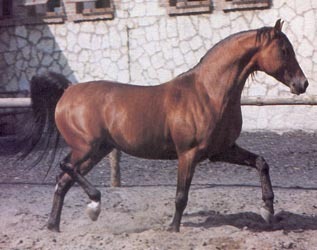 He sired five stallions used in Poland and several others that were used in other countries. Etap (out of Etna) was considered the best son of Celebes but died tragically in an accident when he was only 8. He left one stallion used in Poland (*Set out of Sekwana) but several others were exported. This branch was brought back to Poland through the mare Savvannah, by Monarch AH who is by the Etap son *Wiking. The Etap son Karnawal was imported to Sweden. Other sons include *Polonez, *Euros, *Sekstans and *Bekas. 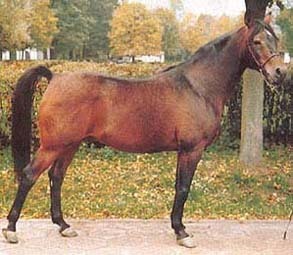 *Algomej (out of Algonkina), chief sire and leased to Sweden in exchange for *Probat. 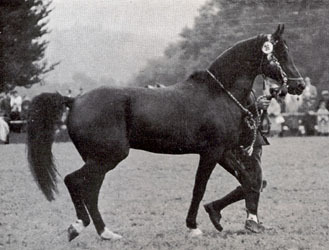 He sired three stallions used in Sweden: Algorytm, Rycerz and Rukwiel as well as several mares. He left one son in Poland, Muhtar-Ali, but he has not been used much. *Aloes (out of *Algoa (Czort x Algonkina) and thus a ¾ brother to *Algomej), was also leased to Sweden, in exchange for Alcazar. 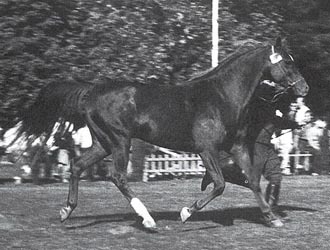 He sired one stallion used in Poland, *Fanatyk, and several that has been used in other countries, among them *El Ghazi, *Bies, *Cyrano and Puszczyk. In Sweden he sired the stallions Noir, Nord and Magi. *Pepi (out of *Pemba) was leased to Sweden in 84-88. Before he left for Sweden he sired the stallion Etat exp Denmark. Etat was later used in Poland. 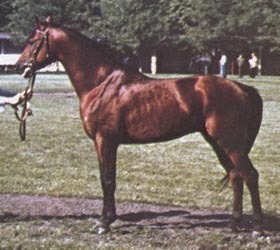 *Mellon (out of Mantyla) was a superb racehorse and sire of racehorses. 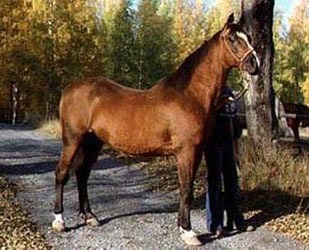 He also sired the mare Czasza imp Sweden. Camerton out of Camerata was used in Germany and sired some mares. Ceratzo out of Ceresa was first exported to Sweden and is now in Austria. He has sired some long distance horses. *Druch out of *Druchna was exported to Locust Farms and is a show champion and has sired champions. *Elimar out of *Eliza had a good race record in Poland and was exported to Meekel Farm where he has left several National calibre performance horses. Emin out of *Elmira left some good mares. He was leased to Sweden for the 1984 season. *Pierscien out of *Piersnica, sire of Regional show champions in USA. 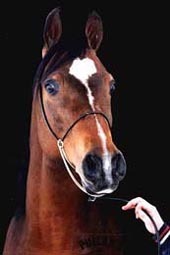 He also sired the 1994&1996 World Champion endurance horse Pieraz. *Rezus out of Rezeda was exported to USA. He is maternal grandsire of Critical Moment, a purebred approved by the Canadian Trakehner Society, and of Kishstar 4/28 (7-9-6)2. 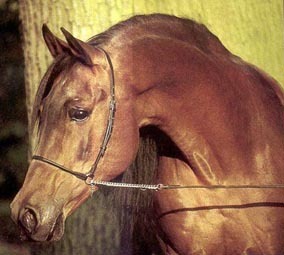 *Rezus can also be found in the pedigree of Half-arabian sporthorses. His influence is felt in Europe as well since his son Rezolute Bay was imported to UK. Karmin, full brother to Celebes, was used in Germany. *Erystawi (out of *Enorme) was imported to Sweden with the group of circus stallions from Cirkus Knie. He sired some mares before he was exported to USA, among them Exalicja. *Bibars (out of Bojkena) was a real globetrotter. 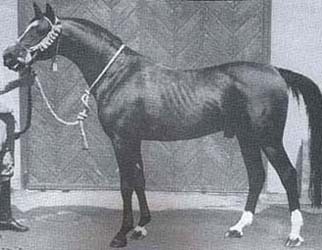 He was bought by Mrs Griesbach of the Achental stud who used him in Germany and then exported him to Argentina were Mrs Griesbach's daughter had a stud farm. He was then imported from Argentina to Sweden by Blommeröd. He was used one year at Blommeröd and then exported to USA. His brother Borys by Wielki Szlem was also used at Achental. *Rustan (out of Rasima), the *Bask "look-alike", was used in Germany before he was exported to USA. In Germany he sired the stallions Rustafir, *Kasatin, *Habor, Said and Samir as well as several mares. 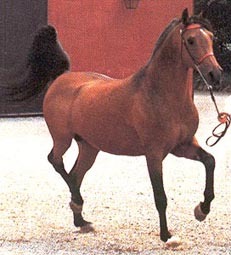 *Bask (out of Balalajka) is probably the most famous arabian stallion in the world. He was US Nat'l Ch in both performance and halter and has sired many champions. Some horses that carry his blood has found their way back to Europe, among them Monogramm (grandson) and Biquest (*Bask son and full brother to Negatraz). 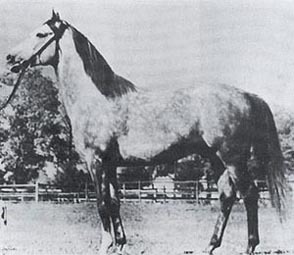 Nureddin (out of Norma) was sold to a circus like so many other polish stallions. He was discovered by Erik Erlandsson along with other polish stallions. After many negotiations the stallions were on their way to Sweden. Nureddin sired only seven offspring before he died but one of them is *Aladdinn. *Aladdinn is the superstallion from Sweden that not only is a champion but also a sire of champions. Several of his sons has been used in Sweden and he left many wonderful broodmares as well.